12/12/12 is the last matching day/month/year until the next century. So, to celebrate, in our 12 Days of Giveaways we're breaking out one of our passions--books...in a BIG way. The gift of reading and a LOVE of reading is one of the best gifts ever. Click here for the main World of Traegonia site. Click here for ChiIL Mama's past photo filled Traegonia coverage. 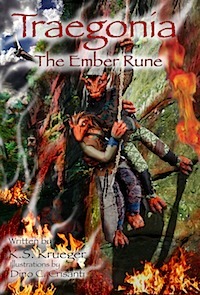 This series is highly recommended, mid grade fantasy, chapter books. We read them as family bedtime stories and got thoroughly engrossed in the highly imaginative, artistic, eco-friendly, creative, inventive, magical, World of Traegonia. Got tweens or teens? We've got a couple of must have books for you. The first is our friend Melisa (with one s) Wells' rockin' guide to fun with older kids around the greater Chi-town area. We first covered this book back in late 2011, when it first came out, but Melisa was cool enough to kick us a couple giveaway copies and uber organized slacker that I am...one disappeared in the back of our swag cabinet (sorry Melisa). So...readers, you're in luck! This handy guide has been in hot demand with long wait lists at local libraries. It's still relevant and excellent. And guess what....when you own your own, you can write in it! Oh yeah. Our copy has copious notes and has become a dog eared and delightful addition to the front seat of my car. Highly recommended! Melisa threw a rockin riverboat cruise party when she launched the book, and that night I had a chance to chat with Dylan, her good natured, college age son. He gave me the low down on Camp Wells, their "Mom led" family recreation program, started when they were 10 & 13, that became the basis for the book. Instead of going off to a month-long summer camp, they decided to see what fun they could have around Chi-Town instead. The adventures they had that summer became the spring board for this one-stop place for planning your own fun in and around the city. Amid a sea of blogger name tags proclaiming everyone's Twitter handle, URL and all, my favorite tag of the night was the refreshingly simple one that declared "Melisa's husband". Gotta love a family with a sense of humor! Melisa's writing can be seen frequently at the blog, Suburban Scrawl, and now in print with Chicken In The Car And The Car Won't Go. 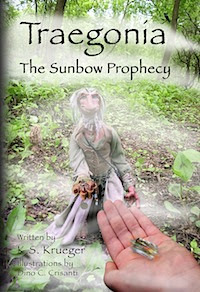 You can win one here or snag a copy of this book through her site below or through Amazon. It's a rockin' resource for locals and/or tourists alike. 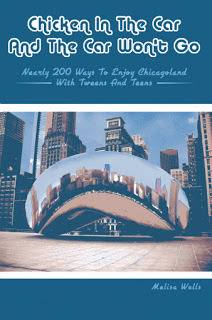 Check out the whole scoop about author and Blogger Melisa Wells book ‘Chicken in the Car and the Car Won’t Go: Nearly 200 Ways to Enjoy Chicagoland with Tweens and Teens.” right here. Disclaimer: Thanks to all the authors and publishers who gave us books for our giveaway and review copies as well. All opinions expressed are our own.